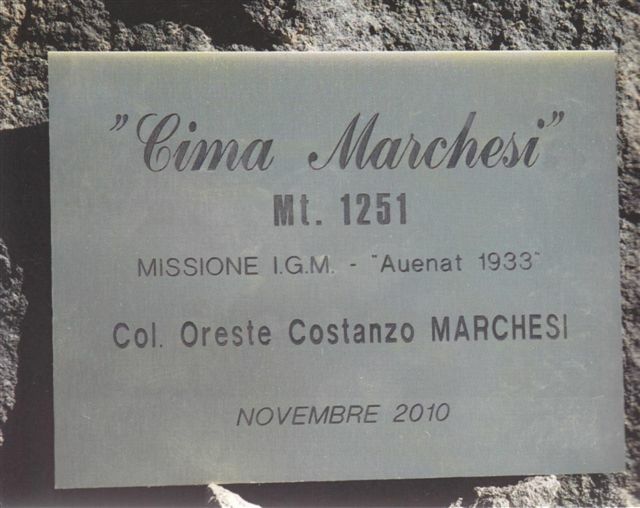 Michele has just published a very comprehensive article about the “Missione Marchesi” in the magazine L'Universo, issue 140 of the IGM (Istituto Geografico Militare. To be correct: It is a special issue of the L'Universe with the title Speciale Missione Marchesi. 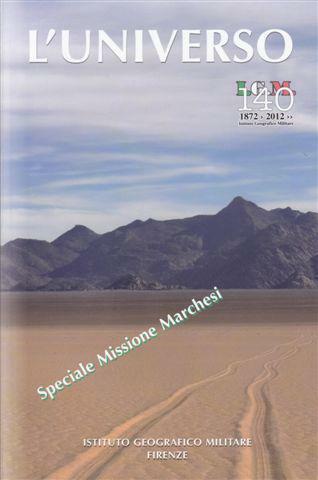 It is probably the first time somebody has collected and published so much information about the surveying works the Italians in this remote part of the desert – definitely a must read for all those people interested in the exploration of the desert! After its preview presentation during the Salone Internazionale del Libro in Turin on 18 May 2013 by the Istituto Geografico Militare at the Ministry of Defence stand, the 160-page 4/2012 special issue of L’Universo, the geographical/historical publication of the Institute since 1920, is now available, wholly dedicated to the story of the 1933 Marchesi mission to Libya. The exciting historical reconstruction by Michele Soffiantini ranges from the practical issues of the geotopographical expedition led by Capt. 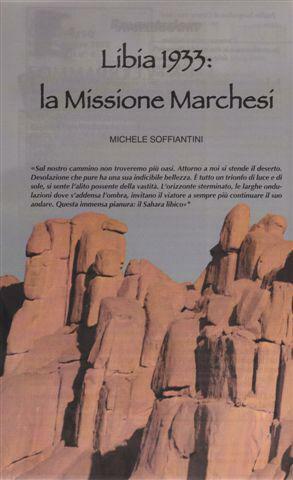 Oreste Marchesi to an in-depth analysis of the reasons behind the execution of the expedition to the southernmost end of Cyrenaica beyond the Kufra oasis, to the cartographical aspects of the survey and to the interesting study of the topographical instrumentation employed during the mission, carried out by the topmost experts on the subject, Prof. Borchi and Prof. Macii. The last part contains the narration of the recent story of the ascent to the mountain, named after the IGM topographer, Cima Marchesi, clearly pointed out in the original map drawn to 1:100,000 scale by the topographical team during the 1933 expeditionary survey to the Uweinat massif in the southeastern corner of Libya, where a plaque in his memory was placed during the exploration which took place within the Emeri Project in November 2010. 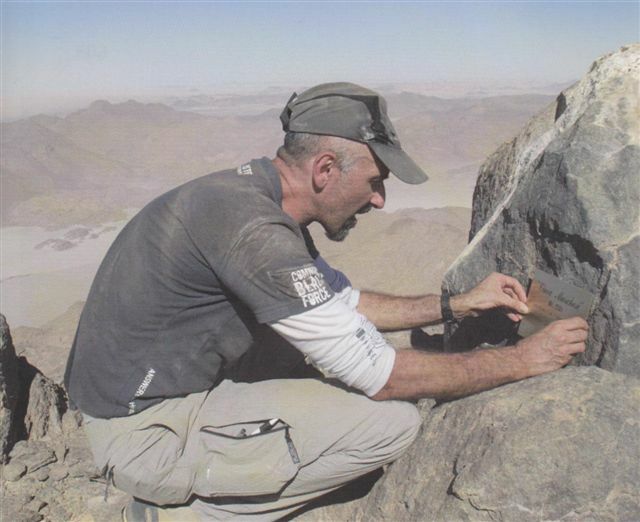 To the success of this publication have contributed Alessandro Menardi Noguera, Paolo Carmignoto and the Hungarian Andras Zboray, who took part in the expedition to the Libyan Desert arranged by the Italian team. Through a careful examination of the published material the reader will be able to breathe the exciting atmosphere of one of the last great Saharan explorations that, at the beginning of the last century, saw among its participants the IGM topographers Oreste Marchesi, Pietro Veratti, Giuseppe Tschon e Federico Giova.